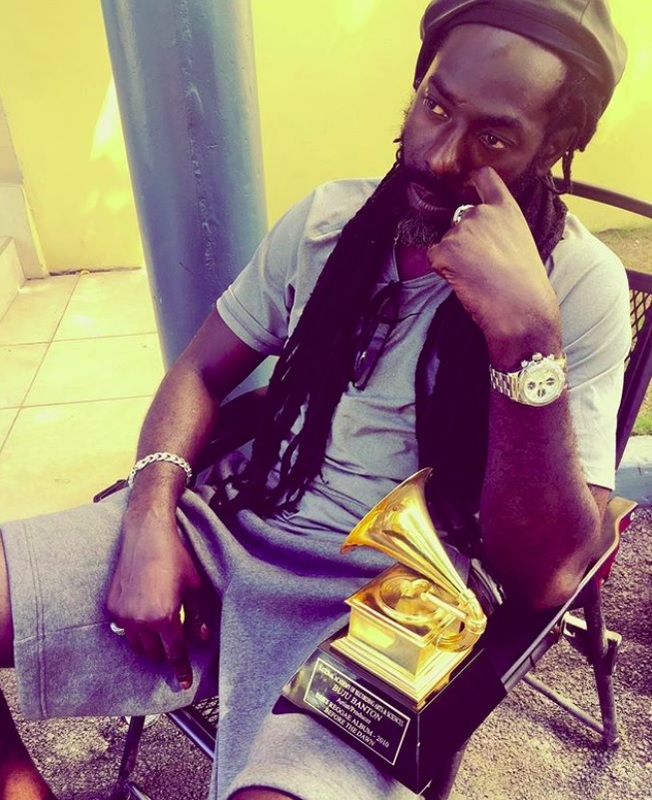 Jamaican popular entertainer Buju Banton won the Grammy for Best Reggae Album in February 2011 for his album “Beyond the Dawn,” but it wasn’t until a week ago that he actually received the coveted trophy in his hands. The entertainer was absent from the February 23, 2011 Grammy Award presentation in Los Angeles, because that day was the eve of his trial for drug trafficking in a Tampa, Florida court. That trial concluded with his conviction, and subsequent ten-year prison sentence. The Grammy winning album is a 10-track album that was produced by Buju’s Gargamel Music label and released in September 2010. It was his fifth Grammy nomination. His previous nominations were for Inna Heights (1999), Friends for Life (2004), Too Bad (2007) and 2010’s Rasta Got Soul. Since returning to Jamaica on December 7, Buju has finalized plans for his first series of shows, titled “The Long Walk to Freedom which begins on March 16 at the National Stadium in Kingston, Jamaica, with other performances planned for Trinidad and Tobago, the Bahamas, Barbados and St. Kitts and Nevis.